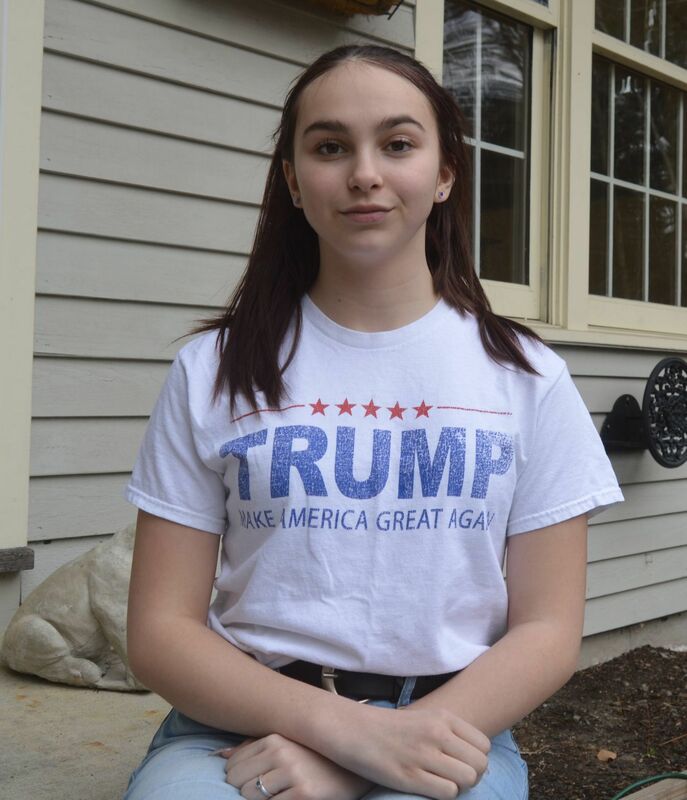 High school freshman Ciretta MacKenzie didn’t think it would be a problem if she wore her President Trump T-shirt on Monday. After all, it was a day when students were encouraged to celebrate American pride by showing off their red, white and blue. However, Epping High School Principal Brian Ernest demanded that the 14-year-old change her shirt, which featured the name Trump with the phrase “Make America Great Again” running beneath it. Supposedly, supporting the POTUS might make someone feel uncomfortable. No doubt Ciretta felt uncomfortable herself, but she doesn’t count, because she supports the POTUS. She was told that failure to remove the shirt would result in her being separated from the other students. So she borrowed a friend’s sweatshirt to cover it up. That’s how the First Amendment is honored at a government school. This sort of pressure is bound to be effective on most children. That is how liberal social engineers have managed over the past decades to get so many to go along with such a depraved and, to put it mildly, counterproductive ideology. At least it doesn’t appear that Ciretta was shamed in front of her peers, like 11-year-old Bella Moscato was after choosing Trump as her hero.